Michelin are pleased with their progress after the first two days of official return to MotoGP, as the first test of 2016 finishes at Valencia, according to Technical Director Nicolas Goubert. Despite a number of crashes at the test attributed to a radically different tyre balance than the old Bridgestones, many of the riders were upbeat about the new rubber; something Goubert says makes it easier for the French firm. “When you know some people from the past it's nice to work with them again but working with new people and new riders it's always interesting to see their reactions to a new tyre that they haven't been working with but both cases have been very interesting. “Valencia is the first time that everyone is focussed on our tyres and getting the most from them for the 2016 championship. We did a lot of testing this year with people like Colin Edwards and other test riders and they helped us to get to the level that we are at now. The level we are at is a lot higher than what we had earlier this year but it's still not high enough for MotoGP riders. “We will have two more tests this year and then three tests next year that are all in a condensed month of activity. It's difficult for us to evolve the tyres at those tests because of the times. “Most of the crashes were from the front end. With the electronics that we have now you don't see a lot of big highsides any longer like we did in the 500 era. Now crashes come from the front and it's a shame that we had so many crashes but people are here to try and find the limits. 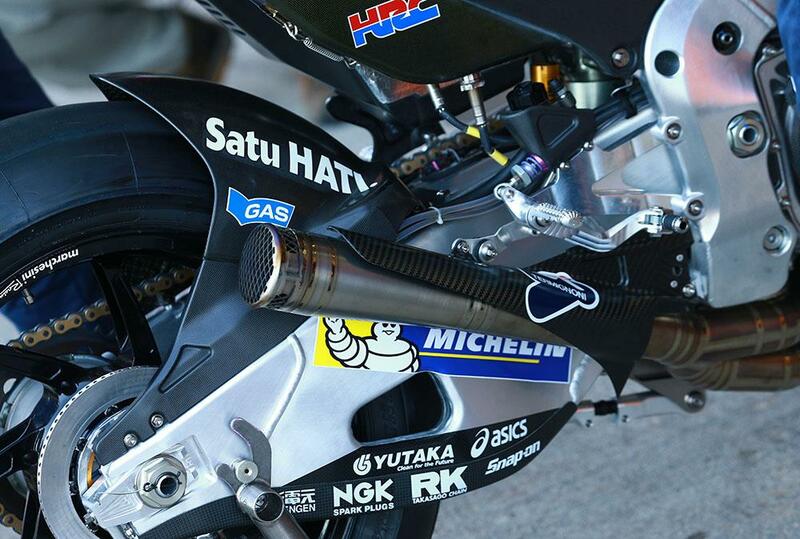 Riders have a new package and need to understand how to set their package up differently for these tyres.